We stock all manner of paints, from modern finishes to more traditional tones and textures. Of course, we can arrange delivery locally and you can order anything from the Brewers website directly into store. Just like all other Brewers stores, we can also mix paint up for the colour and purpose you require. Our friendly team have more than 30 years’ decorating industry experience between them and they’re always happy to help. 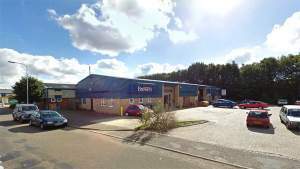 Our Dereham decorating centre can easily be found on the Greens Road industrial estate, just outside of the town centre near the junction with the A47. Just turn off Yaxham Road at the traffic lights near the famous Roys store. You’ll find us halfway along Green Road on your left. There’s stacks of customer parking outside and access is easy for wheelchair users. Travelling on the A1075 Yaxham Road, at the traffic lights, turn left on to Greens Road. The store is easily visible on the second turning right. Travelling along the B1135 Yaxham Road, at the roundabout take the first exit. Continue under the bridge and take the first right turn on to Greens Road. The store is easily visible on the second turning right.